RUSH: Now, folks, I have to clue you in on one of the latest bits of news revolving around climate change and global warming. To people — and there are these people on the science side to whom this is not a political issue. There are. I’m gonna concede something here. There are some scientists who genuinely believe that all of this CO2, all of these greenhouse gas emissions are not good, that there is at some point gonna be a price to pay for it. That’s what the greenhouse effect is, is all of this CO2 magnifying the effects of the sun. And I’m talking about people to whom this isn’t political. Some of these people, by the way — these scientists — really do not like the left for totally corrupting the science on it and politicizing it. Well, these people are actually working on what they think are sensible solutions to a problem they genuinely believe. I, frankly, think that the greenhouse gas, CO2 thing is no big deal. Now, I’m not a scientist. But this is where my reverence for God enters the picture. I just do not believe that we have this relatively easy way of destroying our planet. I mean, exactly how we doing it? By improving our lives? By raising our standard of living? By increasing the wealth of the human race? This is causing the end of the world? I’m sorry, folks. I believe in a loving God creator, and I do not believe a loving God creator would establish circumstances like that. Now, you can pooh-pooh that all you want, but that’s my faith. I just don’t believe that the establishment of so many things that improve the quality of human life and all life on earth are gonna destroy it. But there are people who have this concern about CO2, and they are coming up with what they believe are scientific causes, and you know what the most recent one is? Without getting too much in the scientific weeds on this, there are people who are attempting to develop technology that would literally filter CO2 out of the air. Now, don’t laugh. There are people actually trying to do this. They are not wacko leftists. They’re not the windmill types. They’re not the, you know, roll ourselves back technologically to the Stone Age. These are people that want to maintain our current standard of living, that do not want to have to change the use of fossil fuels, do not want to have to go backwards on any type of technology. They’re just attacking from the standpoint, “Okay. “If we are putting too much CO2 in the atmosphere, let’s find a way to get it out and recycle it and turn it into something else, just get it out of the air,” and they’ve done that. Apparently, there’s this little machine that can do this on a very, very minute, small scale. I want to make a prediction. As the news of this gets out and if it starts being widely reported on, I maintain to you that the political climate change group on the left — the climate change wackos — will trying to destroy this. They will do everything they can to pooh-pooh it. They will do everything they can to make sure it doesn’t happen. They will ridicule it. They will say it can’t possibly work, even though — and let’s just say hypothetically. Lt’s say that something else could be invented and could work at scale at a reasonable price. I mean, somebody will volunteer pay for this. Let’s say it could say happen. It would accomplish everything these people want, theoretically. CO2 is causing greenhouse gas, which is causing climate change to increase, global warming, more tornadoes, more hurricanes, more floods. And if you get the CO2 out of the air, you’ve solved the problem. Why will they not support that? (interruption) What industry is that? Well, it would kill their business. It’s the same reason Jesse Jackson will never actually support anything that would end racism. These people can never, ever support something that would literally solve their problem. They need the issue. But the my point goes further than that. The reason they would not support this is that the real reason they do make all this noise about climate change is because the real objective is to being able to control everybody and how you live, denying you fossil fuels and denying you the freedom of the kind of car you want and denying you to be able to eat the kind of food you want. That’s the kind of people we’re up against. And if their supposed problem of climate change or global warming could be solved technologically by scrubbing the CO2 out of the air in our atmosphere, you would think they’d be the first behind it. And they will not. They will try to destroy it because it will interrupt and get in the way of their real objective. They want to put the oil business out of business. They want to take every aspect of modern-day capitalism and destroy it. And in the process, they want to be able to control as much of everybody’s lives as they can because they are socialists and communists. They are not scientists. They’re not really concerned about climate change. They just want you to think they are. And they want you to think you’re guilty. You have crated the problem by the way you live your life, and you need to pay for that. You need to pay the price. You need to pony up. You have helped destroy the planet, but you can get absolution if you follow what they say: more taxes, don’t drive the cars they say you can’t drive, and that’s who they are, and that’s what this is gonna expose. So I hope these people actually succeed in their technology. I hope this goes somewhere. I don’t think it ever can at scale. 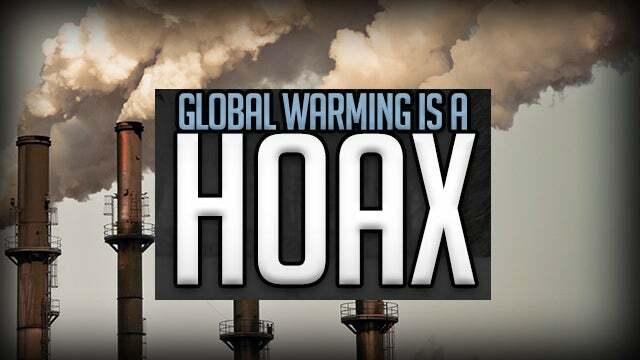 Can you imagine what it would take to scrub the CO2 out of the air, but if it gets far enough long that the climate wackos feel threatened by it, they will expose themselves, and that is what I hope happens. RUSH: Speaking of fossil fuels, get this. The Democrat National Committee has banned donations from fossil fuel companies. They are telling fossil fuel companies like oil companies and natural gas companies that they will not accept any donations from these companies. Now, there will be a work-around to this, but why not go all the way DNC, why not ban the usage of the — if you so believe in all this that you’re not gonna take their money, then why not just come out and tell everybody what you really want and ban the use of fossil fuels? This is a classic example of how they cannot be forthcoming about their real agenda. If they came out and said that one of the planks in their platform is to ban the use of oil, bye-bye Democrat Party. Or to put this incredibly high tax on it, bye-bye Democrat Party. So they don’t tell you that. They go through the motions of trying to make you think that they are good, good economic and climate stewards, environmental stewards, and they’re not gonna take any filthy money from these fossil fuel companies. But they will. It will just have to be laundered by somebody, but they’ll take it.